You’ve done it! You’ve committed to the idea that you have a plan for a business that is going to take you out of the office and put you back at home! Now you can be a mother and a business owner, and that means a lot of changes and challenges. There are going to be mistakes, of course, any new experience is all about learning, and that means learning from mistakes too, but here are some of the bigger mistakes you should try to avoid. You’re working at home and that’s great! What’s not great is when all your ex-colleagues think this means you have more time than they do. Just because you’re at home, doesn’t mean that people can reroute important packages to your home for you to sign, or drop their dogs off so that you can take them out for a walk. People that still commute to an office may think you have more free time, but you don’t. Don’t let that misperception allow them to take advantage of you and your time, especially when you’re just starting out. Not losing an hour or two to a commute twice a day is amazing! Suddenly you’ve got all this time at home, and then you discover just how much work you get done when you just stay there! Don’t do this! Becoming isolated at home can affect you personally and professionally. Change your work locale, try a café or coffee shop on occasion, remember to meet with clients or other colleagues. Stay connected to the world, but enjoy the fact that you can walk away from it. When you’re doing professional work, do just that. 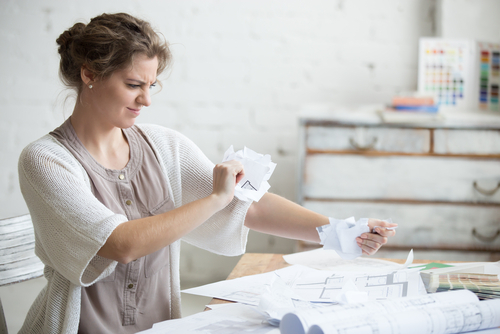 Don’t mix in the laundry with filing that expense report. If you can afford it, offload the domestic chores to some outside help. Jobs done well take focus. Just because you’re at home, doesn’t mean you can let all these other influences start bleeding into each other. That will affect both your work and your family.